Last year Russia’s elderly took center stage. With the pension fund dwindling, the government passed legislation raising retirement ages from 60 to 65 for men and 55 to 60 for women that came into force this year. The move sparked mass protests as Russians worried about having to work for longer while facing the country’s low life expectancy rates — 68 years for men and 78 for women — and meager pensions: 14,144 rubles ($219) per month on average. But in the discussions over the financial struggles of Russia’s elderly another hardship has slipped under the radar: loneliness. According to a recent survey by the state-run VtSIOM pollster, loneliness was listed at the top of concerns Russians feel the country’s elderly face after low pensions and health problems. A study by the Moscow-based NAFI Research Center released earlier this year found that 22 percent of the elderly worked past retirement for fear of solitude. It also determined that more than nine million pensioners across Russia live alone. For Kondrashova, who worked as an accountant for most of her life, the solution to the regular absence of people in her life was a state nursing home, which charges 75 percent of a resident’s pension, or 50 percent for war veterans. Nursing homes, though, come with their own troubles. New residents can experience a loss of autonomy as simple choices like what to eat or wear are now delegated to someone else. In large nursing homes — which can house as many as 1,000 people — social workers often don’t know residents’ names. That’s where the Starost v Radost, or Old Age in Joy, volunteer organization has stepped in. 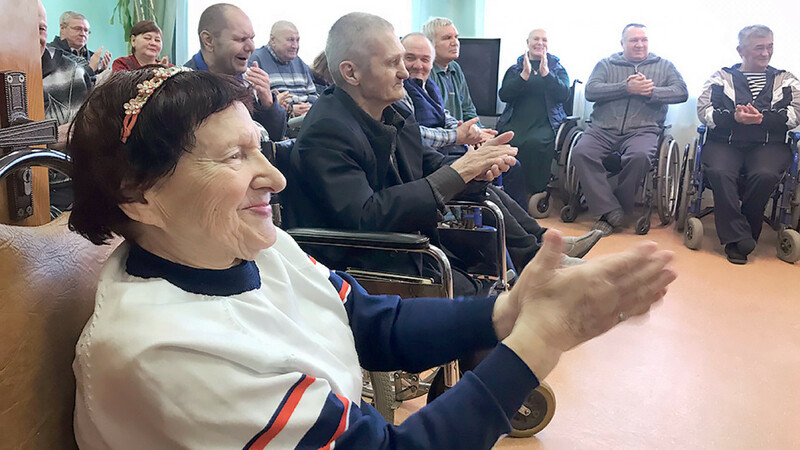 Over the past 11 years the group, which employs 33 full-time staff members and attracts hundreds of volunteers, has worked with nursing homes around the country to help Russia’s elderly feel like individuals. Volunteers regularly correspond with residents by letters or visit, organizing events like concerts and art classes, or just going from room-to-room socializing. They especially focus on tactile interaction like hand holding or hugging. “All of our work is done to make the end of life easier for them and to help them live longer,” she added. Most weekend mornings, groups of Starost v Radost volunteers set off to nursing homes around the country, from Kamchatka in the Far East to Smolensk in the west, to attempt to do just that. 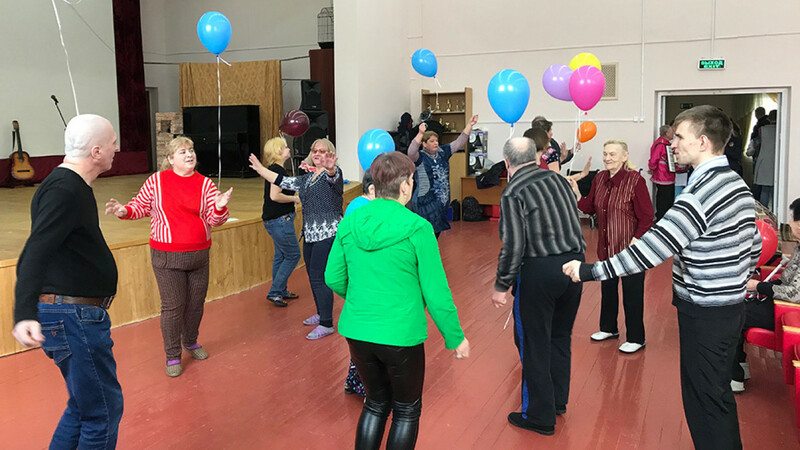 In one of the organization’s visits on Saturday, a folk music group joined volunteers at a nursing home in Klimovsk, a town in the Moscow region. Before lunch, the volunteers entertained some 60 residents of the facility, home to upward of 600 people. With their canes tapping along to the music, those in the audience that still could stood and danced. For Alyona Medvedeva, 27, a volunteer who in her day job is a producer of opposition politician Alexei Navalny’s live YouTube channel, the visits are likewise enriching. “They’re just waiting to release all of this love that has been bottled up,” she said. In February, Medvedeva and a group of eight other volunteers set off on a Friday from Moscow by overnight train to the northwestern Novgorod region. They visited five homes over the course of two days. Then they returned to Moscow by overnight train on the Sunday, arriving in time for work on Monday morning. Despite the difficulties of such trips, Medvedeva said she is happy to offer her help however she can. 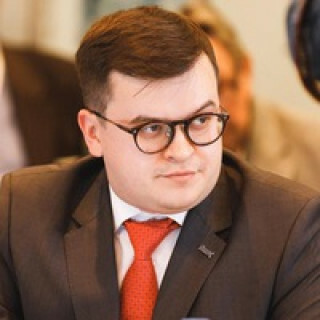 Alexei Levinson, the director of the socio-cultural research department of the independent Levada Center pollster, said a burgeoning volunteer movement has sprouted in Russia over the past five years as the state has clamped down on civil society. And while he added that the government is attempting to co-opt the movement, he sees the development as a positive. But there are limits to what volunteers can do, Levinson said. 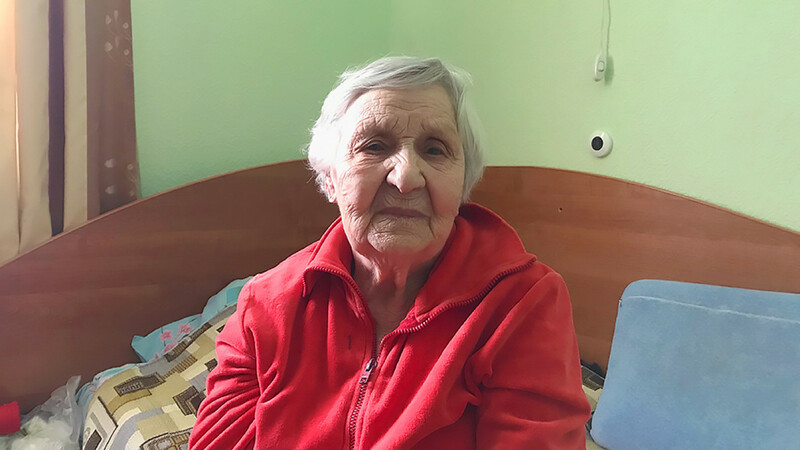 For many of Russia’s elderly, loneliness is “an inescapable phase of life.” And in far-flung villages, he noted, the elderly receive almost no support whatsoever. Filling that void has become another part of the Starost v Radost job description. Last week, for instance, Balashova received a call from an elderly woman in Shakhovskaya, a Moscow region village two hour’s drive west of the capital. She was calling to request help for her neighbor, a 98-year-old World War II veteran, who lives alone in a dilapidated home with a broken window letting in cold drafts. The caller told Balashova she had gotten her phone number from a local government official. The next day, Balashova drove to the veteran’s home. She took an audit of what needed fixing, then headed to the Shakhovskaya town hall. By Friday, officials had agreed to fund half of what was needed for the repairs; Balashova drummed up the other half from Starost v Radost’s coffers, stocked by donations and grants. “The elderly don’t have the time to wait for the government to begin working properly,” she said. Russia's youth aren't the liberal-minded reformers you might expect.